702 Gas Burner – Carlin Combustion Technology, Inc. The 702 Gas advanced gas burner features Carlin’s adjustable combustion head assembly- for unmatched fuel/air mixing, smooth light-offs and quiet running. The automatically-closed air damper and low-high-low step modulation improve efficiency by closer matching of output to demand and reduced stand-by losses typical savings of 15-20% in seasonal fuel usage when compared to single-stage flame retention burners. 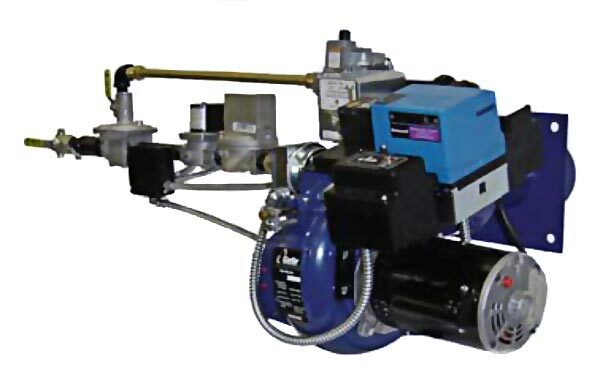 With technology proven for years in the field and in extensive boiler and furnace testing, these burners will meet your needs for commercial burner applications. • Simple adjustments of the air shutter and combustion head, set with Carlin’s easy-access screw adjustment. Motor: 1/2 hp, 3450 rpm, 48-frame, “N” flange.